Only 1 meal left in my week-long live organic vegan experience (l.o.v.e.) and I'm not sure what happens next. Tomorrow, as I ease out of the fast, I can make my own food choices again, instead of being fed by a sort-of personal chef. It's been quite a luxury to change my routine and be provided meals without thinking about it. I've been asked if I'll continue this way of eating, and the answer is yes and no. To all of the vegetarians and vegans out there, sorry to say that I'm not ready to completely give up meat just yet. I think this was a step in the right direction though, to at least let me contemplate what other food choices are out there. I plan to eat less meat and dairy than I already do; I already eat meat only a couple of times a week at this point. I'm happy to have broadened my horizons and get a little taste of what the raw food world is like. I plan on trying out some raw recipes that have come my way, and to replicate some of the meals that I ate this week. Consequently, I came across this blog post on Melange defending the raw food lifestyle. It's easy to attack something when we don't have all the facts. Before I even considered this 5-day raw food journey I know that I was a little skeptical about it as well. But there is an abundance of healthful ways to eat raw or live food that one could easily thrive on, as long as they are willing to adapt their way of preparing food and maintaining a balance of nutrition. 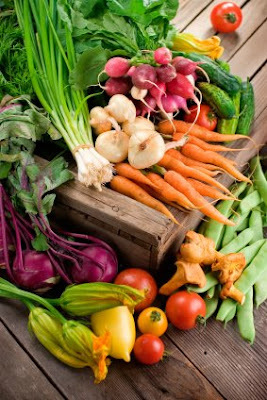 It's not like raw foodists are just eating carrot sticks all day. It goes way deeper than that. And like I mentioned in a previous post, I think preparing raw food is a very creative outlet, maybe even an art form. As the old saying goes, when one door closes, another one opens. In limiting this one integral aspect of my life for 5 days, I've opened my mind up to so much more. Thanks to Organic Avenue for preparing such delicious food this week. If you're curious about raw and/or vegan food, do a little research and give it a try! 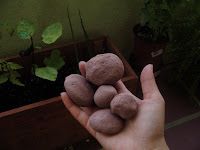 I've been wanting to throw some seed bombs since I wrote about Green Guerrillas last summer (and maybe even before that). Well now I'm going to have the chance to live the dream, and you can too, if you're interested. ... an inspiration-station and resource hub for anyone who wants to deploy environmental actions that matter--actions that prompt an ecstatic recognition of people's surroundings. Do your part! Join the discourse, participate in the actions here and make your own actions happen! Oh man, if that doesn't make you want to get involved, I don't know what will. If you want to make your own seed bomb, get instructions here [via FunTimeHappyGardenExplosion]. The goal is to sow wildflower seeds on every single patch of abandoned soil in the Brooklyn neighborhood of Bed Stuy this April. By early summer, there should be so many wildflowers growing in the untended treepits, vacant lots, half-built developments and other tiny scraps of neglected soil in Bed Stuy that the whole neighborhood effectively turns into a meadow. Wildflower seeds are very easy to plant, and they grow well in poor, shallow soils without human attention, so it's going to be relatively easy to make a huge visual impact over the entire neighborhood. The profusion of wildflowers that result from this minimal effort will probably be relentless and visually unifying, and this relentless unity of wildflowers will probably make anyone walking down the street feel good. 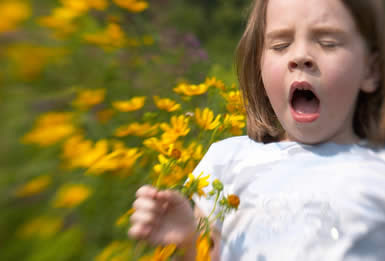 I want there to be so many wildflowers on the streets that the summer of 2009 is remembered very fondly every single resident of the neighborhood. I want the continuity of the Meadow to be so strong that Google Earth is compelled to re-photograph Bed Stuy. I want people who don't even live within the five boroughs to visit Bed Stuy for the first time so that they can see the Meadow with their own eyes, and I want people who will never even come to be so inspired by the Bed Stuy Meadow that they make their own amazing neighborhood project and share it on 21st Century Plowshare. Bed Stuy is a neighborhood of contradictions. There is a lot of crime here, but it's also by far the friendliest neighborhood I have ever lived in. It's got a litter problem and the landscape is dotted with empty lots and condemned houses. But this is also a neighborhood of seriously tended front yards with a rich history of community gardening. Bed Stuy claims as its own Hattie Carthan and the Notorious B.I.G. I think the Meadow is going to work because it doesn't work against what Bed Stuy is. Bed Stuy's low-slung, long-blocked character and the expansiveness of its territory are not like an urban jungle or forest as much as an urban prairie. The effort of the meadow is another chapter in the community gardening history of the neighborhood. Wildflowers are beautiful in the way that the architecture here is beautiful, the way the people who go out of their way to say good morning on the streets here are beautiful. And wildflowers are tough enough to grow wherever the seeds are cast. Just as I suspected, as Bikram class was ending last night, something in my body was starting. I won't go into too much detail; let's just say I was being paid a monthly visit. I didn't want to take any drugs to combat the pains I know I'd be feeling once it really kicked in, so when I got home I brewed some ginger tea and slapped a hot water bottle onto my belly. Ah, this works, I thought. I was happy that I didn't have to poison my newly detoxified system with acetaminophen. But then at around 4:45 this morning I was awakened by the pain. Knowing I couldn't strap the hot water bottle to myself all day, I took the two little pills to get me through the day. A necessary evil that happens only one day a month. Then this happened: as I was walking down 8th Ave, right after picking up my meals for today (my last day of the raw, vegan fast), I felt a strong tingling tickle inside my nose. AAaaah-AAaaah-choooo!!! green apple cleaners, in my 'hood! 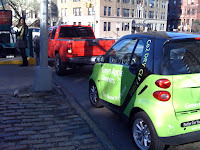 As I walked, still half asleep, to my subway stop this morning, I noticed a bright green smart fortwo covered in advertisements for Green Apple Cleaners (the non-toxic, CO2 based dry cleaners) parked just by the entrance to the station. Oh, look at that, they're advertising in Brooklyn, I thought. This shot's is as blurry as my vision was. I had heard from David Kistner, CEO of Green Apple Cleaners, last year that there would be a Brooklyn store opening this year. For some reason, I imagined it in Brooklyn Heights or Carroll Gardens. But much to my delight, it's right next door in North Park Slope. Hurray! It's the little things that get me excited. Now I can take all of those delicates, sweaters, and dress shirts out of the "handwash" pile that's been accumulating for months -- I'd been handwashing with The Laundress in lieu of the nasty chem bath of traditional dry cleaners -- and walk on over to the new Green Apple. Oh, happy day!